Singing in the Rain! He is a little shy! 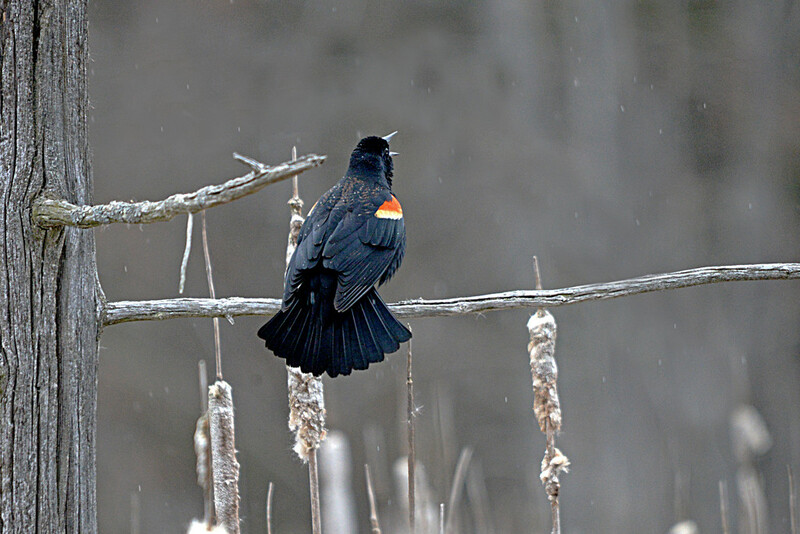 It was raining but that didn't stop this red winged black bird from singing! Now that I think about it ... it didn't stop me either as I had to stand in the rain to take this picture! The whole picture is beautiful! Not just this exotic blackbird! Love how he's got his tail fan and his red bars are showing. I can almost hear his ok-a-lee song. Great capture and a fav! Looks like he is wearing an armband of colour! Well worth getting rained on, this is lovely!